A student at Bridgewater-Raynham High School has received a donation of $5,000 from Cops For Kids With Cancer. “It was started by Captain John Dow in 2002. John was a cancer survivor and he wanted to give back — especially to children — so he started a small organization called Cops For Kids With Cancer … and gave $10,000 to the children’s cancer ward at MassGeneral Hospital, where John was treated and cured,” said Faherty. 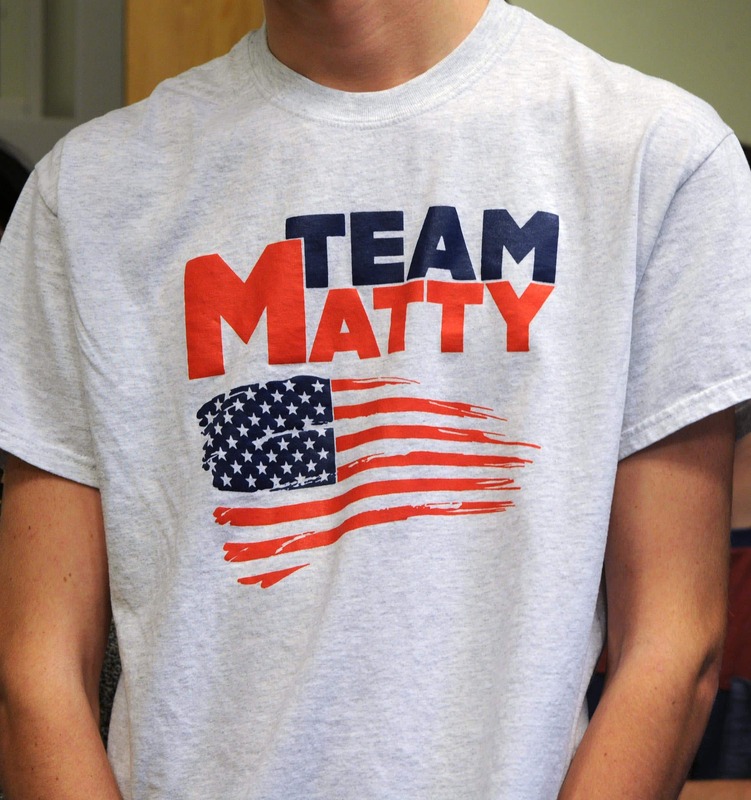 “Matty is a 17-year-old boy with Hodgkin’s Lymphoma and he was recommended by the (police) chief from Bridgewater, Christopher Delmonte, who knows the family and their needs,” said Faherty. Like all of the families helped by Cops For Kids With Cancer, the Calvanis received $5,000 — an amount that the organization believes will be able to be used on several months of mortgage payments.